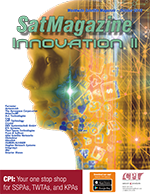 Globalstar’s Gavan Murphy looks at how satellite communications (SATCOM) is taking off in the forests of the UK, France and Sweden. While cartoon woodcutters tend to get walloped by the tree they are felling, in reality, the risks for today’s forest-based workers come from many different quarters. What is certain is that spending long hours carrying out many laborious tasks in remote locations can involve major accidents related to vehicles, heavy machinery, extreme weather and fire. In the forestry sector any rescue and recovery challenges are compounded by the fact that many times workers are on their own. With mobile and radio communications patchy and unreliable in most most isolated woodland areas, a number of European organizations involved in forestry — as well as firefighters who battle forest and wildfires — are turning to (SATCOM) to provide new levels of worker safety. Adopters of satellite communications include the UK Forestry Commission, France’s as Societe Forestiere and Orsa Besparingsskog, a private company in Sweden’s Orsa region. These organizations have all deployed Globalstar’s SPOT Gen3 messengers, providing a lifeline to remote workers. In an emergency situation, workers can press the SOS button on the handheld SPOT device to alert emergency services that they need to be rescued. Many forestry sector users, such as Société Forestière, additionally use the rescue service provided by the GEOS International Emergency Response Coordination Centre (IERCC), which contacts local first responders to ensure help is rapidly dispatched to the precise location where and when needed. More than 6,000 rescues worldwide have been initiated by SPOT devices, many of those rescues were life-saving. The SPOT Gen3 relies on Globalstar’s constellation of satellites to transmit its GPS location every 2.5, 5, 10, 30 or 60 minutes. This tracking feature can be used to locate forestry staff even if they are unable to press the emergency button. Operations staff can track user locations on a SPOT app for real-time updates. Forest photo is courtesy of Orsa Besparingsskog. The UK Forestry Commission decided to deploy the satellite-enabled SPOT device because of the unit’s small size and ease-of-use, as well as providing a long battery life and affordability. The device has been used for several years in England and Scotland, with more than 700 SPOT Gen3 devices. Across the Channel, French legislation obliges commercial and non-commercial organizations to provide the best possible security to safeguard lone and remote workers. France’s Société Forestière saw the hugely positive results from the UK Forestry Commission’s deployment and opted for SPOT as well. stay safe. Photo of the unit in use is courtesy of Globalstar. Before finalizing their decision, Société Forestière conducted trials of GSM-based alternatives, including iPhone apps, but these were not up to the job due to inadequate reach in remote areas and poor battery life. Other solutions proposed by France’s mobile network companies failed to function in locations where signal was weak. By the start of 2018, Société Forestière had deployed 100 SPOT Gen3 devices, supporting operations in six regions: Auxerre, Bordeaux, Bourges, Dijon, Le Mans and Reims. 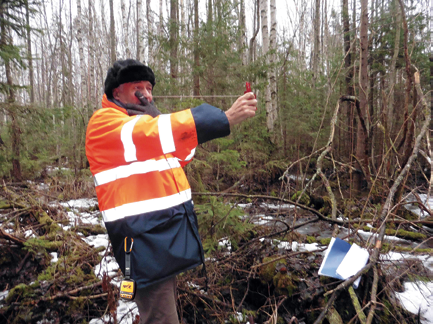 Meanwhile in Sweden, Orsa Besparingsskog, a company that manages a range of forestry, commercial and recreational activities in the vast woodlands of Orsa, opted to use SPOT Gen3 to improve safety for forest-based workers and hydro-electricity personnel. Orsa Besparingsskog is responsible for managing approximately 75,000 hectares that are owned by a consortium of local owner-partners. This includes overseeing 60,000 hectares of woodland, harvesting and selling timber as well as maintaining Orsa’s extensive road network. Also, an important part of the business is Tallheds Plantskola, a large nursery where trees and plants are grown to ensure the long-term sustainability and welfare of Orsa’s forests. The company also owns eight small hydroelectric power plants located in neighboring Gävleborgs County, delivering approximately 28 GWh to the Swedish electricity grid. Orsa Besparingsskog considered using alternative solutions and technologies, but SPOT Gen3 was selected for the product’s superior, reliable reach. Additionally, SPOT’s help button and SMS message capability were deemed as unique and compelling, and were persuasive factors in the procurement decision. Firefighters in Spain have gone a step further and are using satellite communications to help them manage wildfire and forest fires, as well as to safeguard crews. Castilla La Mancha is a vast region in central Spain. With the area’s dry and often hot climate, forest blazes and wildfires are a fact of life for the people and businesses in the region. Junta de Castilla La Mancha, the administrative authority whose responsibilities include forest and wildfire management, employs some 2,000 response personnel who are always on standby to help keep forests and wildfires at bay. Junta officials started talking to wildfire solutions specialist Technosylva, a provider of fire behavior analysis and management software, to learn about what options were available. 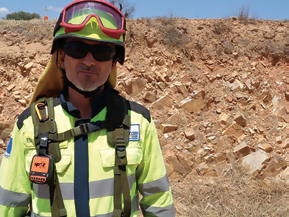 Joaquin Ramirez Cisneros, Principal Consultant at Technosylva, explained why Globalstar’s SPOT Gen3 was selected to meet the Junta’s requirements as an integral part of his company’s Wildfire Management System, fiResponse. Additionally, with SPOT satellite tracking devices attached to pumps, helicopters and aerial fire apparatus, operations coordinators can know precisely where their resources are, where they need to be and how much time will be required for them to arrive on location. All these organizations are taking advantage of the latest developments in satellite technology to ensure staff can be found and rescued in an emergency. However, these flexible solutions are also helping them to more effectively manage resources to better support their operations. Based in Globalstar’s European HQ in Dublin, Gavan Murphy is responsible for the development and implementation of Globalstar’s marketing strategy across the European, Middle Eastern and African regions. He spearheads the marketing of Globalstar’s consumer products, including the SPOT tracking solutions portfolio, as well as the B2B marketing of voice and data solutions for a range of vertical sectors including maritime, energy, safety and security, commercial fishing and shipping, construction and heavy industry as well as the burgeoning M2M sector. Prior to joining Globalstar in 2008, Gavan worked with leading global mobile provider Vodafone as Channel Development and Category Manager.